7 Kids and Us: LeapFrog Lettersaurus $10! 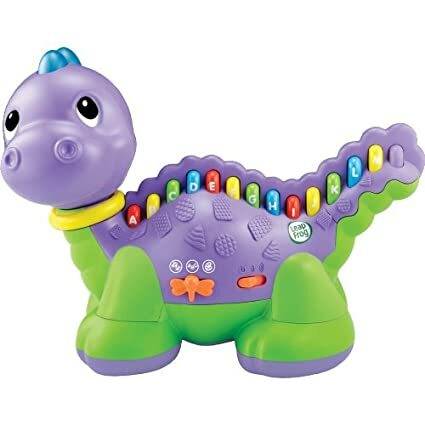 This LeapFrog Lettersaurus is 50% off making it just $10! Enter the AMP Energy Gold Instant Win Game! Lunchables Instant Win Game for Kids age 6-17! Matchbox Mission: Croc Escape Playset $7.18! My Stress-Free Holiday with HoneyBaked Ham! FREE One Day Shipping at Amazon.com! Playhut Disney's Planes Vehicle Tent $19.99! Wise Decor $50 Gift Card Giveaway! Fun Holiday Baking with Immaculate Cookies! Thomas the Train: Thomas' Wash Down Set $15.74! Crysis 3 - Xbox 360 $11.99! Blurb Has Great Books for Kids and Great Prices! American Plastic Toy Deluxe Vanity $39.99! LeapFrog Letter Factory Phonics just $13.58! Cinedigim DVDs for the Holidays! Mega Bloks Play 'n Go Table $25! Insect Lore Creature Peeper $7.33! Insect Lore Live Butterfly Garden $10.45! Fisher-Price Grow With Me Trike $28.13! Nerf Walkie Talkies $8.99 shipped! Naomi Kids Gourmet Kitchen $119 shipped! Barbie 3-Story Dream Townhouse $94.29 Today Only! Skate & Spin Dora & Boots $19.99! LEGO Duplo Ville Baby Zoo for $8.24!